By Ritu Raj Subedi (11 September 2018) – With Nepal and Thailand staying away from the India-sponsored joint military drill involving the countries from the Bay of Bengal Initiative for Multi-Sectoral Technical and Economic Cooperation (BIMSTEC), India’s design to create security alliance to corner its arch-foe Pakistan and challenge rival China has gone belly up. The week-long military exercise named ‘MILEX- 18’ started in Pune of India on Sept 10. Three days before the drill kicked off, Nepal had decided to withdraw from it following criticisms from different quarters, including the ruling Communist Party of Nepal (CPN). Thailand is participating in it only as an observer. While addressing BIMSTEC’s 4th summit held in Kathmandu on Aug 30-31, Indian PM Narendra Modi announced that he would welcome the BIMSTEC member states to India for their participation in the upcoming drill but they were dissatisfied by India’s unilateral announcement to it. In Nepal, different political parties, lawmakers and experts had argued that the country’s participation in the military drill would undermine its neutral and independent foreign policy. The issue of the military drill has put Prime Minister KP Oli in the soup, forcing him to answer to the parliament on the issue. 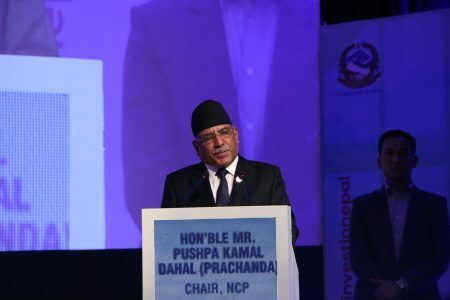 “There was no agreement on holding the military exercise during the recent BIMSTEC Summit,” said PM Oli, adding that Nepal neither believed in military pact nor would join it. Oli’s remarks sharply contrasted the statement of Modi indicated that there lay India’s strategic interest behind organizing the military drill. It is also hosting a meeting of chiefs of army staff from the BIMSTEC nations on the sidelines of the military exercise, which it said, aimed at fighting terrorism and coping with the natural disasters. During the summit, the Indian PM had projected himself as a ‘benevolent hegemon’ of sub-regional group as he showered its leaders with a bundle of offers. 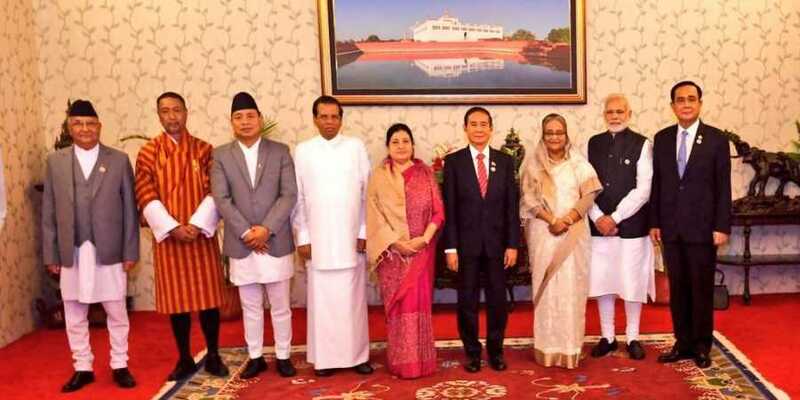 India appears to do everything to enhance BIMSTEC and turn the South Asian Association for Regional Cooperation (SAARC) into a dysfunctional entity. Independent observers question the objective of military drill: How can it be instrumental in realizing the theme of the recent Summit- “Towards a Peaceful, Prosperous and Sustainable Bay of Bengal Region?” The drill does not only overshadow BIMSTEC’s development agenda but also endangers its future. As the club of seven nations from South Asia and Southeast Asia – Nepal, India, Bangladesh, Bhutan, Sri Lanka, Myanmar and Thailand-, BIMSTEC seeks regional integration, economic cooperation and shared prosperity for its people. “India wants to challenge Pakistan and China through the military drill,” argues Prem Singh Basnyat retired Brigadier General of Nepal Army. Indian Army had proposed it in June, and Indian government announced that it would conduct the drill ahead of summit last month. Established in 1997, the BIMSTEC was the result of India’s ‘Look East,’ (now Act East) and Thailand’s ‘Look West’ policy. But the subgroup that aims to bridge between South Asia and Southeast Asia has not become effective to date. Failure to include Nepal in the drill exhibits India’s limit of forging military cooperation in the region. India must not use BIMSTEC to weaken SAARC, isolate Pakistan and show muscular strength to China. A home to the highest number of poor people, South Asia needs permanent peace, massive investment, and mutual cooperation. In order to make the BIMSTEC a result-oriented body, as some experts think, it is essential to invite China as its ‘dialogue partner’ as the latter’s capital, technology, and development experiences will come in handy to carry out BIMSTEC’s development projects. This is because concepts and objectives of BIMSTEC well correspond with that of Belt and Road (BRI), China’s global project that seeks to link three continents – Asia, Africa, and Europe – through rails, roads, and ports. As an observer of SAARC, China has established a strategic and cooperative partnership with many SA countries. It has poured huge investment in Pakistan, Bangladesh, Sri Lanka, and the Maldives. As most of the BIMSTEC nations have become a part of the BRI, it is imperative for India and China to work together to boost connectivity, investment, economic cooperation and people-to-people relations in the region. It can achieve prosperity only through the win-win cooperation and partnership. This article first appeared in APD onine. Ritu Raj Subedi is Associate Editor of The Rising Nepal.